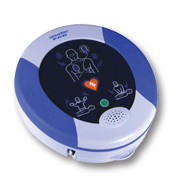 HeartSine AEDs, AED trainers and AED supplies. 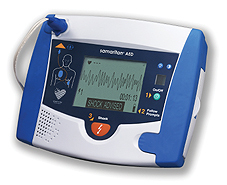 The samaritan® AED Trainer has 14 built-in training scenarios: Eight from the American Heart Association, four from the American Red Cross, and two demonstration scenarios. With a push of a button, you can easily select any of the 14 scenarios. The Samaritan® Wall Cabinet is a custom designed case built to store your samaritan® PAD. Robust cabinet construction protects and positions your samaritan PAD in highly visible locations. 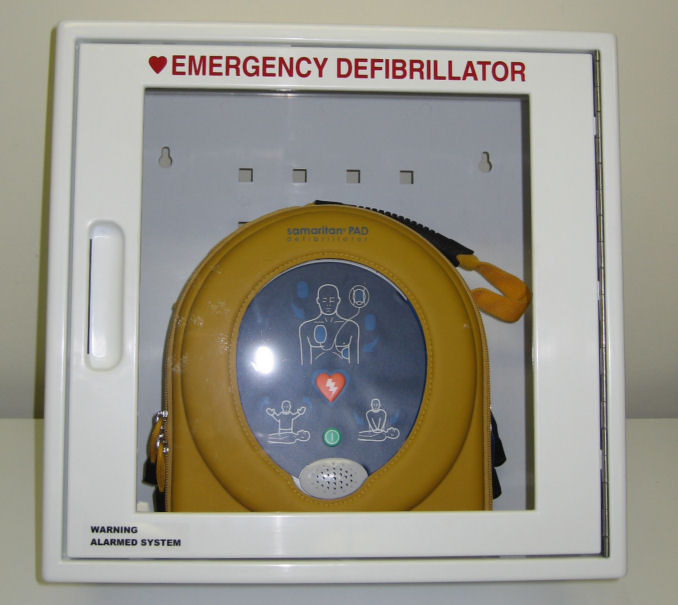 Easy to install, with wipe clean surfaces, and front-viewing window the Samaritan® Rescue Station provides an excellent platform for placement of AEDs in your facility. Designed for placement next to your Samaritan® AED, this high visibility wall sign gives an elevated profile and easy identification of device locations. 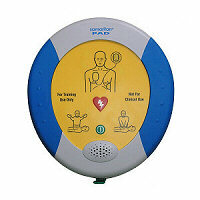 Ideal for all locations, it provides a cost-effective indicator that your facility is equipped with AEDs.